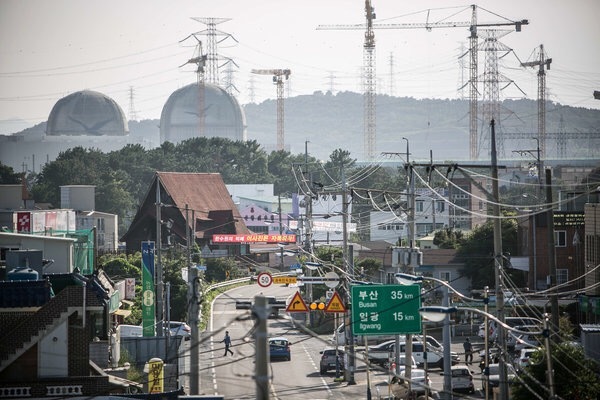 Two of South Korea’s 24 nuclear reactors. The country has a huge stockpile of spent fuel from which it can extract plutonium — enough for more than 4,300 bombs, according to a report. For the first time in recent memory, there is a daily argument raging in both South Korea and Japan — sometimes in public, more often in private — about the nuclear option, driven by worry that the United States might hesitate to defend the countries if doing so might provoke a missile launched from the North at Los Angeles or Washington. Beyond South Korea and Japan, there is already talk in Australia, Myanmar, Taiwan and Vietnam about whether it makes sense to remain nuclear-free if others arm themselves — heightening fears that North Korea could set off a chain reaction in which one nation after another feels threatened and builds the bomb. But North Korea is testing America’s nuclear umbrella — its commitment to defend its allies with nuclear weapons if necessary — in a way no nation has in decades. Similar fears of abandonment in the face of the Soviet Union’s growing arsenal helped lead Britain and France to go nuclear in the 1950s. In Seoul and Tokyo, many have already concluded that North Korea will keep its nuclear arsenal, because the cost of stopping it will be too great — and they are weighing their options. Japan briefly considered building a “defensive” nuclear arsenal in the 1960s despite its pacifist Constitution. South Korea twice pursued the bomb in the 1970s and 1980s, and twice backed down under American pressure. Even Taiwan ran a covert nuclear program before the United States shut it down. South Korea has 24 nuclear reactors and a huge stockpile of spent fuel from which it can extract plutonium — enough for more than 4,300 bombs, according to a 2015 paper by Charles D. Ferguson, president of the Federation of American Scientists. President Moon Jae-in of South Korea has been firm in his opposition to nuclear weapons. But his is increasingly a minority view. Most believe the Trump administration, despite its tough talk, will ultimately acquiesce, perhaps settling for a freeze that allows the North to keep a small arsenal. And many fear that would mean giving the North the ultimate blackmail tool — and a way to keep the United States at bay.